Seven year old Emily from Kingsley was one of our two Little Telethon Stars for 2014. Twins, Reese and Emily were born 29 weeks prematurely in 2007 and spent the first eleven weeks of their life in the intensive care unit at Princess Margaret Hospital for children. Emily weighed only 1.1 kilograms and Reese weighed 1.2 kilograms when they were born (imagine holding a 1kg packet of flour in your hand – it’s just a little more than that). At four weeks of age Emily had a brain scan, and the doctors discovered she had suffered a small bleed on the brain and as a result would most likely have cerebral palsy. Emily was immediately immersed in therapy and early intervention. At the age of two, Emily commenced botox treatment. She has amazingly learnt to walk assisted and is taking steps on her own. Emily’s mum Jen says “Watching your child take those first steps is breathtaking”. 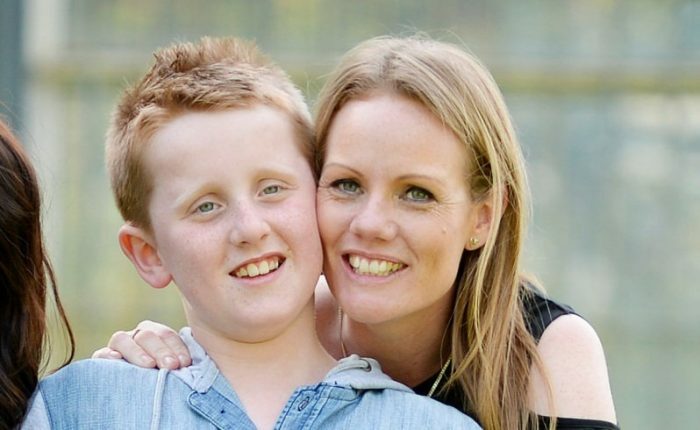 Ten year old Patrick from Bunbury was chosen to represent the kids of Western Australia throughout Telethon 2014. A lot of West Australian’s will remember the October 2011 family tragedy when Patrick slipped and fell over the edge of a cliff. His dad, Chris tried to grab him but they both fell over the edge falling twenty meters while holidaying with his family in Karijini. Unfortunately Patrick’s dad died at the scene. Patrick was flown to PMH in a serious condition. He was in a coma, had internal bleeding, a brain injury and had broken his back crushing his spine. Patrick spent two weeks in intensive care before spending the next ten weeks in ward 5 at Princess Margaret Hospital for children. When Pat finally woke from his coma he could not speak or communicate, he couldn’t walk or eat. He no longer knew how to swallow. Patrick worked very hard as he knew he would never walk again. The entire family all moved forward helping any way they could with his recovery. Even his younger sister Izabel and brother Cameron went to therapy with him. Therapy consisted of hydrotherapy, physiotherapy, occupational therapy and speech therapy. As of October 2014 Patrick was back in school with his normal class.